Puerto Rico’s seasonally-adjusted (and inflation-adjusted) purchase-only house price index fell slightly by 0.42% during the year to Q3 2018, an improvement from last year’s 8.8% y-o-y decline. Quarter-on-quarter, house prices increased by a miniscule 0.06% during the latest quarter. Analysis: Demand is rising, while residential construction remains weak. Demand is rising again, as insurance and federal aid money pour in, coupled with growing interest from Americans looking for bargain. During the first three quarters of 2018, the total number of houses sold rose by 9.9% y-o-y to 8,072 units, according to the Government Development Bank (GDB). Likewise, the total value of home sales rose by 9% to about US$1.14 billion over the same period. However, residential construction activity remains very weak. In 2017, the value of residential construction dropped 16.7% y-o-y to US$507.9 million, according to the Puerto Rico Planning Board - far below 2007’s US$2.33 billion. Likewise, cement sales, the construction industry’s key indicator, fell by 11.2% y-o-y to 10.3 million bags in 2017. 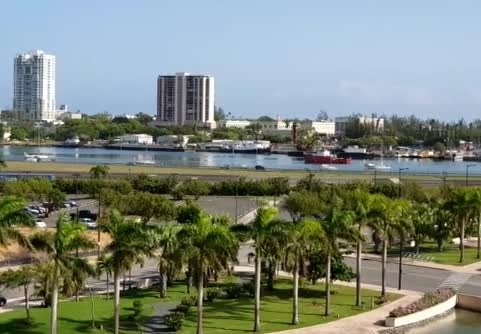 Despite this, the housing market is expected to remain fragile, amidst the island’s continued economic woes, massive debt, and population loss. Puerto Rico filed for the equivalent of bankruptcy protection in May 2017, unable to pay its massive debt or provide its citizens effective services. With US$70 billion in debt and US$50 billion in pension liabilities, Puerto Rico’s bankruptcy filing is the biggest in the history of the United States, dwarfing Detroit’s US$18 billion bankruptcy filing in 2013. Rents, rental yields: no yields data available for Puerto Rico. Recent news. After a five-year contraction, Puerto Rico’s economy is expected to shrink further by 2.3% this year and by 1.1% in 2019, according to the IMF.